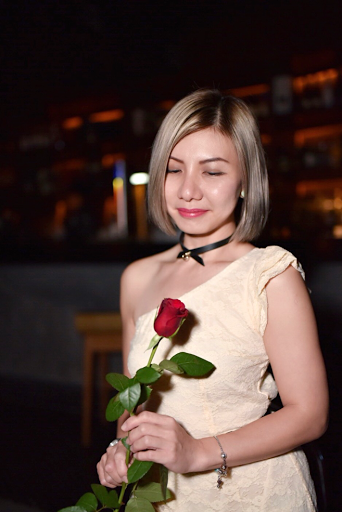 Last week, I had an amazing early Valentine's date with Angel Champagne at the brand new Imaginarium Jazz Lounge, New Wing, 1 Utama Mall. 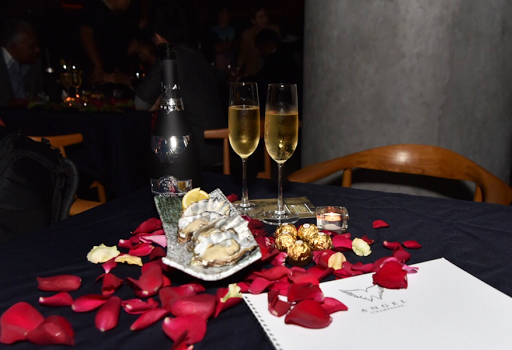 Of roses, chocolates, oysters and bubbly, how perfect they were for such lovely evening. 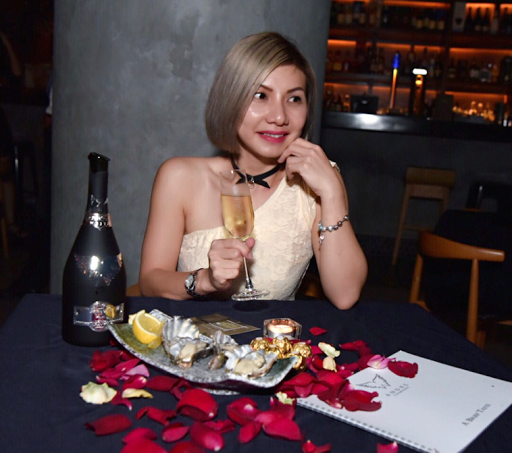 With its sparkling irrepressible personality, Angel embodies everything the Champagne experience has come to represent and is already identified as the Champagne of choice by those who appreciate refined flavours, as well as style conscious individuals who are still relatively new to the delights of Champagne. The product range includes non-vintage, rose and vintage made with grapes sourced from the best Premier Cru vineyards, located in the older region of Champagne. Angel is a cuvee blended from three different grape varieties, Chardonnay, Pinot Noir and Pinot Meunier. The specialist blenders then apply their centuries's old craft to produce the unique Angel taste. Did you know their strict quality controls adhere throughout the process are acknowledged and endorsed by the Comite Interprofessional du Vin de Champagne, the official body that protect and upholds the universal standards of authentic Champagne. Each bottle of Angle is hand-crafted and finished with a distinctive, soft-feel paint and striking label for that bold and sophisticated look. Fresh, intense colour with a beautiful clarity and precision to the pear, green apple, white flowers and mineral aromas that resonate on the long and elegant finish. Tasty, fizzy and easy to drink! The luxury Angel Champagne was successfully launched in Europe in 2014 and now extending its presence into markets around the globe partnering with marketing and drinks distribution firm LiquidFX to introduce the Champagne to Asia. The launch pad for Angel Champagne's into Asia will be at ProWine Asia, a major international trade fair for wines and spirits which will be held in Singapore from 12th to 15th April. 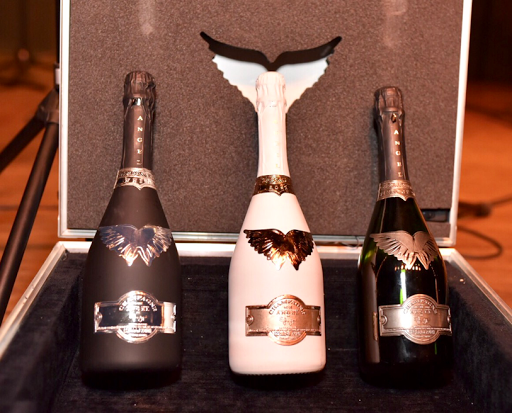 Angel Champagne with its hand-finished and dramatic look will be on display in the Champagne Lounge exhibition and the London-based company is expecting high levels of interest from visitors among them are importers, retailers, sommeliers, F&B managers and many more. 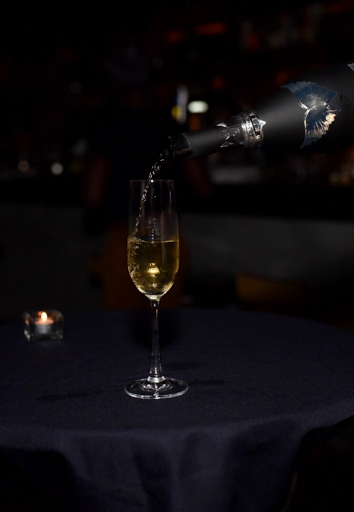 As a luxury boutique drink with a distinctive edge, Angel has proven to be a hit with people in Europe seeking something different from the routine luxury Champagne available. With an exceptional taste plus a price that's far more engaging, Angel is fit to be a regular fixture with champagne drinkers. Gone are the days where bubbly are only reserved for special occasions, as has typically been the case with other luxury Champagne. Cheers..... Pop a bottle open anytime, anywhere!